These are from a recent drop over at Goodhood and you can see what’s going on here. 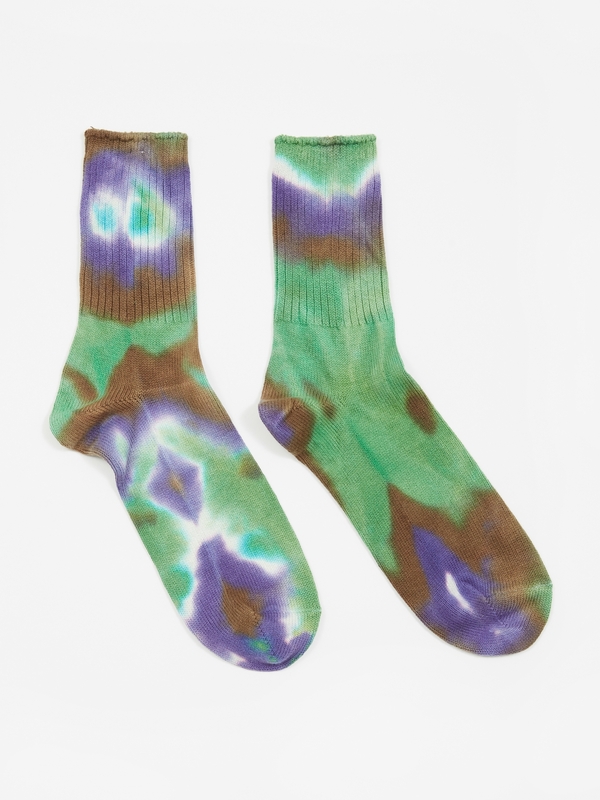 There’s a couple of pairs of tie-dye (green and blue) and some navy ones with a splash of shibori technique. 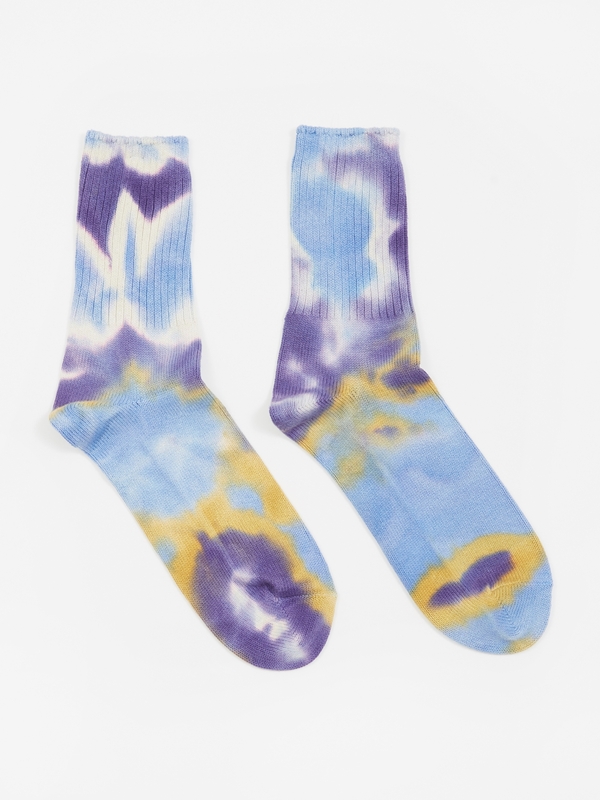 Not groundbreaking, but the tie-dye ones in particular look fresh and will look killer if paired with the right kit. So what is the right kit? The last thing I’d do with these is stick them in the mix with dark trousers and a dark shoe. You might as well wear a Homer Simpson tie. Instead, wear complimentary colours – not coordinated. Tan chinos and dark brown shoes would work well with the green tie-dyes for example. The boldness of the sock is still there, you’re just not aggressively framing it. It won’t demand quite so much attention. It won’t announce that you’d be the life and soul of an office knees-up at Zizzi. If truth be told, I enjoy what these socks look like and I’d like to own them, but I most frequently wear regulation navy or ecru socks. 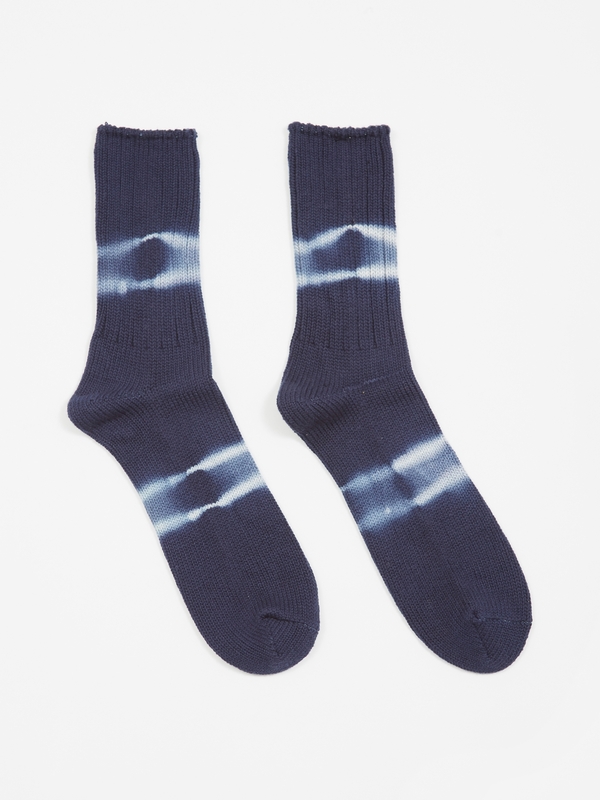 I’ve got a number of pairs of pattered socks from Anonymous-Ism, Blue Blue Japan, Kapital; but I still reach for plain nine times out of ten. So just to clarify, I like these socks, I’d like to own them, but I probably wouldn’t wear them that often. I hope you find this site as interesting to read as I do to write.